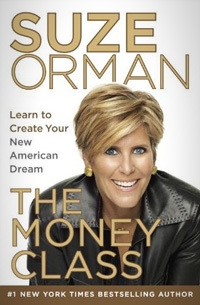 Suze Orman has a new book that she was hawking on The Today Show. Heard her tell Matt Lauer this morning that it is critical to rethink many of the traditional strategies we've been using to achieve our financial goals. She said that the old fiscal mantra of "living within your means" is no longer a valid axiom to live by. She said that our new mantra should be "living below our means" and thinks that we should develop that same kind of joy when we save as when we spend. I resonate with this. My thinking is that it is about asking the "should" questions and not the "could" questions. That's been my philosophy for almost 30 years now.